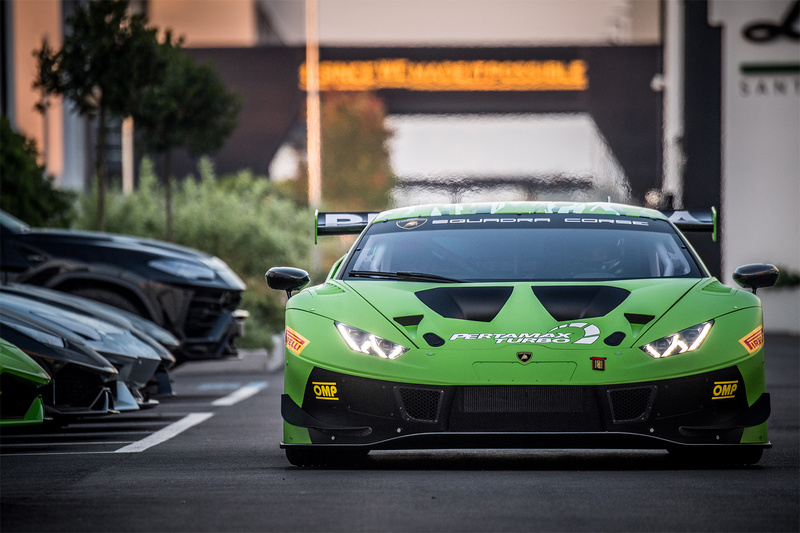 The Huracan GT3 EVO is developed entirely at Sant’Agata Bolognese by Squadra Corse, Lamborghini’s motorsport division, which in 2018 celebrates the tenth anniversary of the Lamborghini Super Trofeo one-make series. Design work was carried out over more than one year with a particular focus on the aerodynamics. The front features significant modifications to the splitter, with a pronounced leading edge. 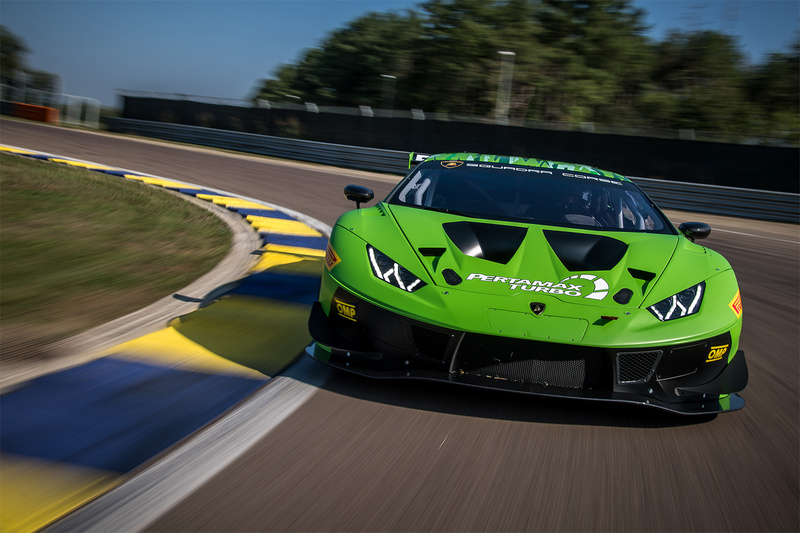 The hood has also been modified with carbon fiber replacing the fiberglass, and thanks to the large central rib borrowed from the Huracan Super Trofeo Evo, it further improves the cooling capacity of the radiator. The rear is dominated by the large carbon fiber wing, with ends modeled in two twists that optimize the aerodynamic efficiency, aided by the diffuser with redesigned fins. 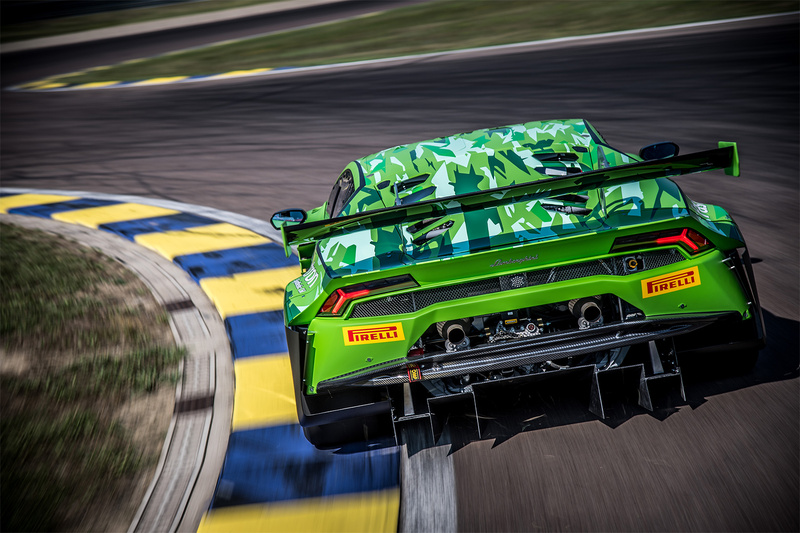 The EVO’s electronics benefit from the introduction of Electro Hydraulic Power Steering (EHPS), already successfully tested on the Huracan Super Trofeo Evo, with a switch to adjust the level of power-steering assistance while running. The ABS is also new, with the adoption of the recent Bosch ABS M5 for absolute control during braking. 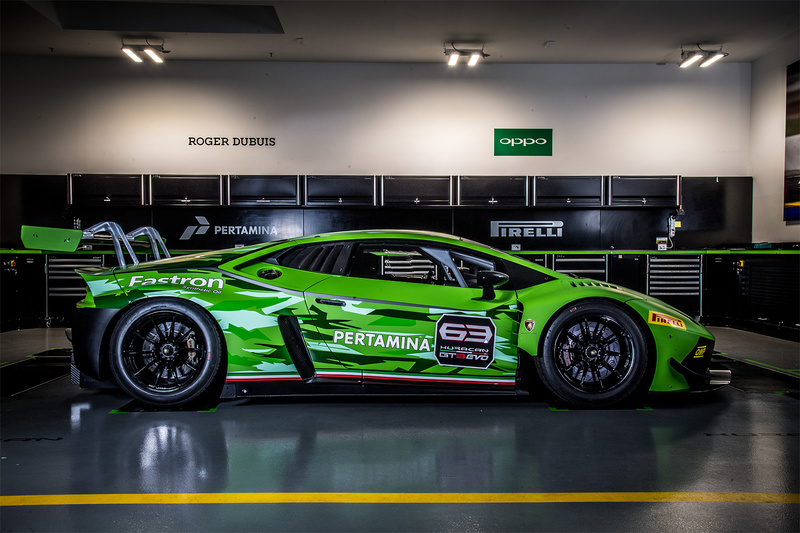 The 5.2 liter naturally aspirated V10 engine is derived from the latest generation 610 hp road-going Huracan engine, which adopts new camshafts and titanium valves to optimize drivability and provide greater reliability during endurance races. The new car can be ordered now and all current GT3s can be updated with a dedicated EVO kit. 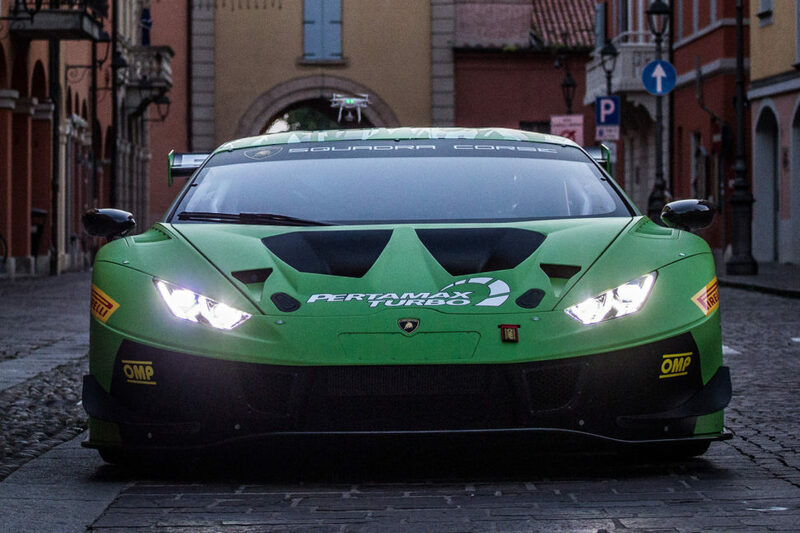 The Huracan GT3 EVO will make its competition debut at the Rolex 24 at Daytona January 26-27 2019.